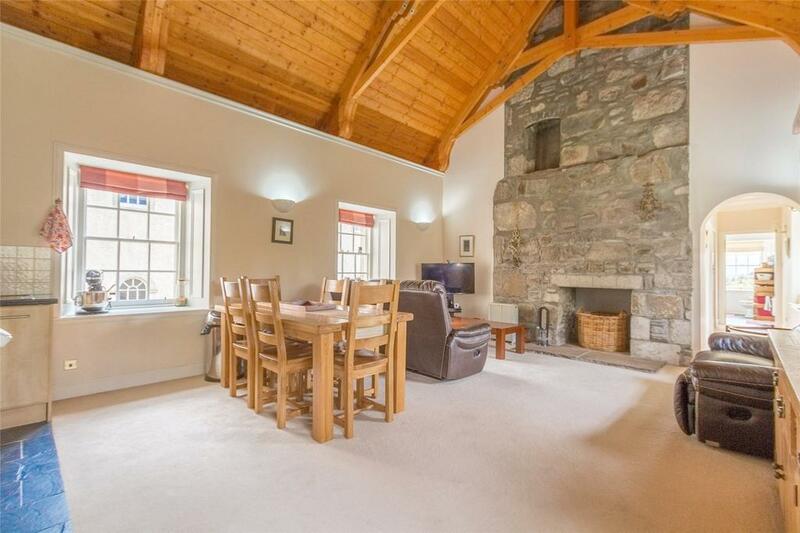 In the heart of the Cairngorms National Park, a short drive from the skiiing areas and charming towns such as Aviemore and Grantown-on-Spey, lies the wonderful 16th century Castle Grant. 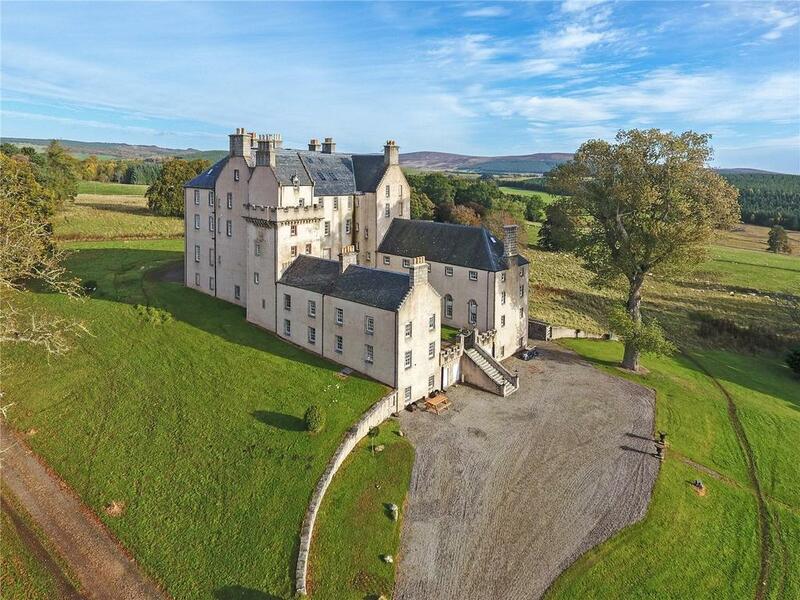 The A-listed castle – which is on the market at £950,000 – was originally built by the Comyn family, who dubbed it Freuchie Castle – the Grants took over in 1694, however, changing the name. A couple of generations further down the line they changed far more than just the name. In 1765 the Grants engaged architect Robert Adam – the man who build Edinburgh’s Royal Exchange and Royal Society of Arts, among other things – to do some work on the place, the result of which formed Castle Grant as it stands today. And what a place it is. 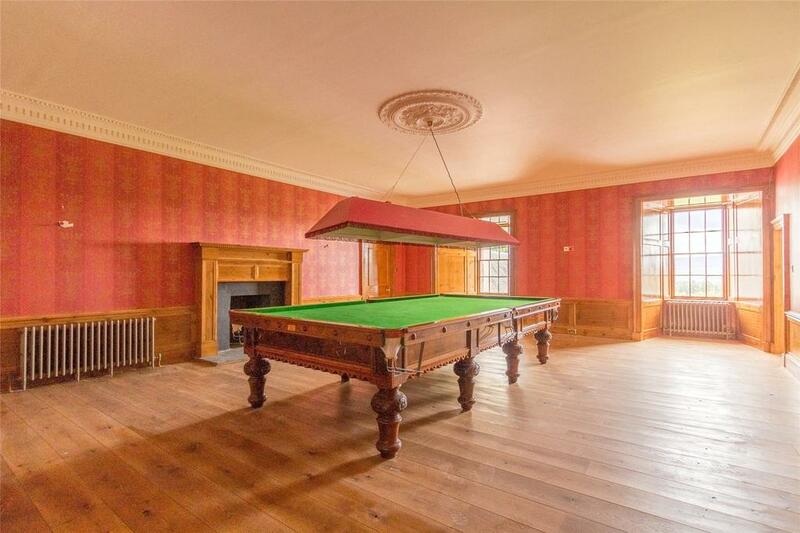 With over 13,000 square feet, this is living on a grand scale – a house with a ballroom, library, drawing room and a billiard room so large it looks like they could have fitted in two or three tables. In the last few years a huge amount of work has been done to the place – modern touches including a top-notch kitchen and cinema room are part of the deal. Currently, the living space is arranged over three floors, but there is huge potential to extend that should you need extra space. There is a large basement, a third floor plus a two-storey attic; subject to permission being granted, there is great scope to make even more of the place; and with the first floor including a self-contained two-bedroom apartment in one wing, there is flexibility for arrangements when people come to stay – whether as family, residents or paying guests. One of the nicest things about the castle the splendid use it makes the most of the setting. The hilltop location already helps with views, but we particularly like the fact that the second floor includes a lounge and the snooker room as well four of the seven bedrooms, helping make the most of the stunning vistas in this most beautiful part of the world. Equally stunning – particularly for metropolitan homeowners – is the sub-million pound price tag attached to the castle. 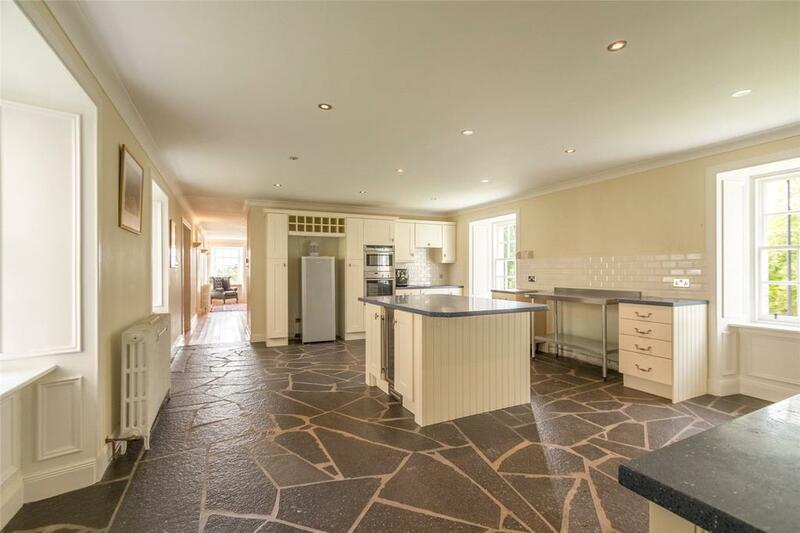 The idea that for the price of a semi-detached new build in St Albans you could own a gorgeous corner of Scotland and a castle to call your own seems borderline absurd. 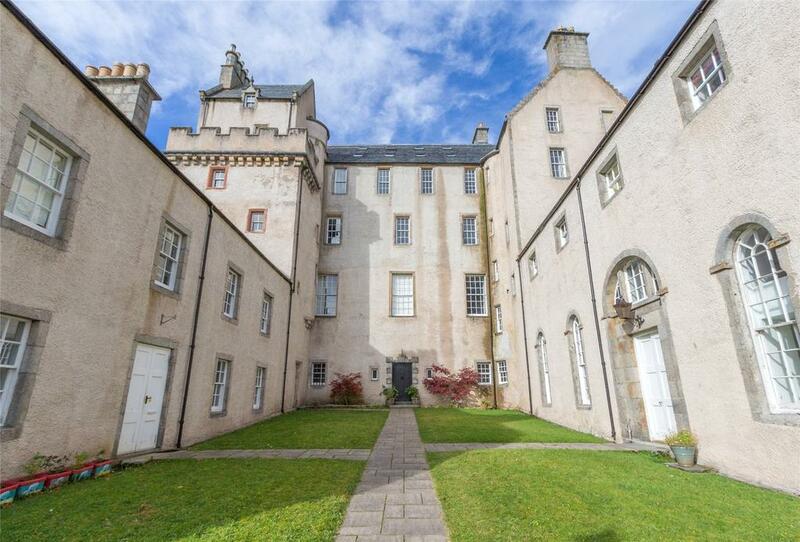 Given how similar places are easily rented out via the likes of AirBnB for several thousand pounds per weekend, it’s easy to see how Castle Grant could work out for all sorts of different buyers. 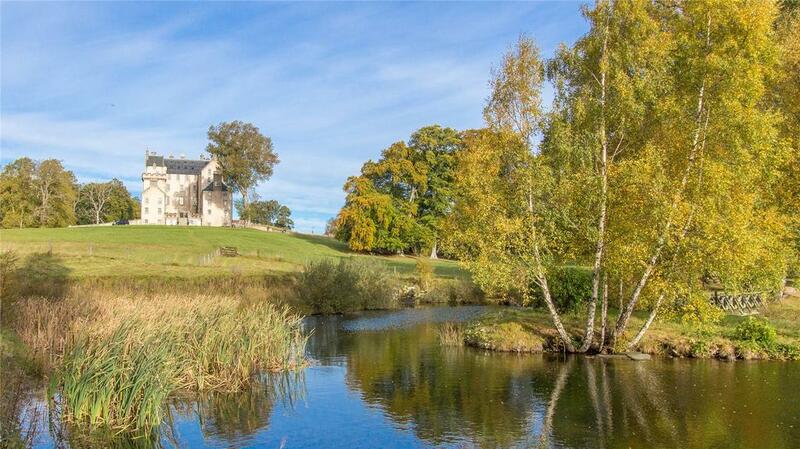 Castle Grant near Grantown-on-Spey, Morayshire, is for sale via Strutt & Parker – see more details and pictures.